What IT department wouldn’t want to be able to do more with their current infrastructure? With NVIDIA GRID, they can. NVIDIA GRID acceleration of Blast Extreme — a new protocol for optimizing the mobile cloud — is now supported in VMware Horizon 7. What’s that mean for IT managers? Reduced latency. Improved performance. And up to 18 percent more users. NVIDIA and VMware have been working together for years to improve the virtualized computing user experience and enable a whole new class of virtual use cases. 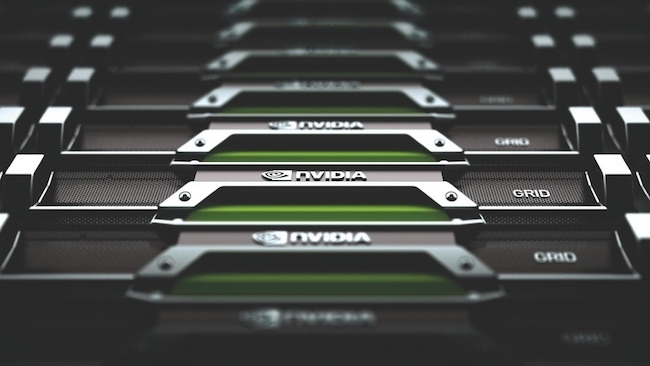 We were the first to enable hardware-accelerated graphics rendering in VMware Horizon View. Then we enabled the first virtualized graphics acceleration in Horizon with GRID vGPU. Now, using the new Blast Extreme protocol, NVIDIA GRID offloads encoding from the CPU to the GPU. This frees up resources and lowers the demand on network infrastructure, which lets organizations reach more remote users. In tests of key applications like ESRI ArcGIS Pro, scalability increased by up to 18 percent. That’s without investing in new hardware. Using VMware Horizon 7 with NVIDIA Blast Extreme Acceleration, organizations can now increase the number of graphical workloads per server while delivering a superior user experience to the most remote networks. Testing has shown latency improvements of up to 50 milliseconds, and reduced bandwidth requirements ranging from 19 to 89 percent. This increases network tolerance for graphical workloads and allows more use cases to take advantage of accelerated virtual desktops and applications. We have a long track record of working with VMware to expand the use of graphics-accelerated virtualized desktops and applications. Companies worldwide have adopted our combined solution to unlock workforce productivity and deliver incredible mobility, flexibility and user experience, all from the cloud.